Everyone loves a little retail therapy from time to time. Shopping is one of the most popular vacation activities. It is something that most of us think about when booking a trip, and some people plan their entire vacation around the best shopping destinations. Ease of transportation: Are the major shopping areas easy to access? Are they close together? Is public transportation readily available? Is parking available and affordable? Variety: Does the destination offer variety? Is there a mix of big brands and cultural shopping opportunities? Is there a good mix of department stores, local boutiques and high-end shops? Overall shopping experience: Does the destination offer you something unique? Does it provide other desired travel experiences, such as dining and entertainment options? Value: Everyone loves getting a great deal, right? Are there sales and discounts? Are prices reasonable for the average person? Whether you plan on staying close to home or want to travel across the globe for an entirely new shopping experience, here are the best shopping destinations in the world. New York City, USA: The mecca of shopping. The city is filled with high-end retailers, world-class designers and one-of-a-kind vintage shops. 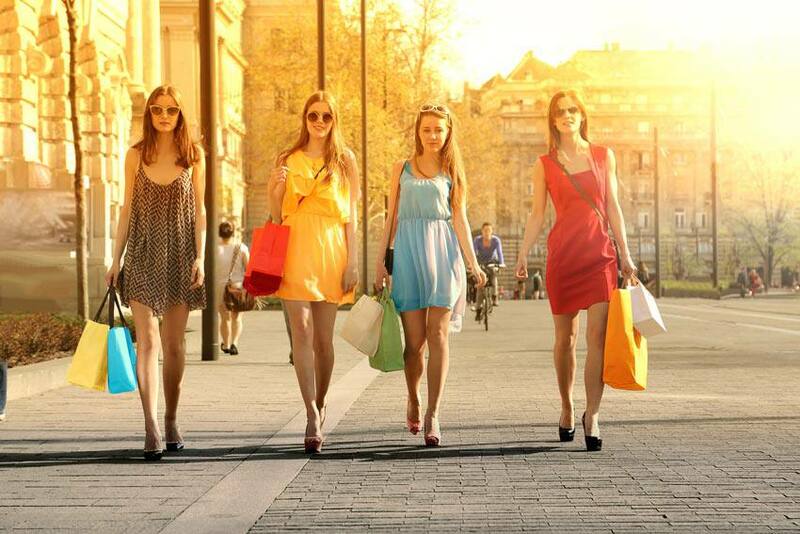 Make sure you check out Century 21 for designer deals, and Fifth Avenue and Madison Avenue for trendy clothing options. Paris, France: When you think of high-end fashion, Paris is probably the first place that comes to mind. The capital for fashion shows, designer boutiques, local shops, high-end international brands and the world-famous Avenue des Champs-Élysées, one of the most expensive streets in the world on which to shop, it’s a great place to window shop. Hong Kong, China: Much like Times Square in New York, the city is filled with designer outlets that sell almost anything. It is perhaps best known for its jewellery options, making it the number one destination for jewellery lovers. London, England: Unlike other shopping destinations on this list, London is known for its historic department stores, such as Harvey Nichols and Harrods. It’s also known for its local markets that sell antiques, clothing and just about everything else you can think of. Toronto, Canada: Definitely the shopping capital of Canada, Toronto has somewhat of a New York shopping feel. With designer shops on Bloor Street West, vintage shops in the downtown core and the world-famous Eaton Centre, there are shopping options for everyone. Tokyo, Japan: Tokyo is unique in that it is known for its department store shopping experience. People report being treated like royalty the moment they walk in the door. What makes it even more appealing is that it is more affordable than some of the higher-profile shopping destinations. Madrid, Spain: If you love the shopping in Paris, you will love the shopping in Madrid. Another city that is well-known for its fashion scene, Madrid is one of the best destinations for shoppers looking for luxury items. The city is filled with designer boutiques and local shops. Milan, Italy: Another world-class shopping destination for fashionistas, Milan is home to one of the world’s oldest shopping malls. The Galleria Vittorio Emanuele II, named after King Vittorio Emanuele II, was officially inaugurated in 1867. Although the interior surfaces of the galleria were restored in 2014 and 2015, you can still marvel at the original ceilings made of wrought iron and glass, and at the overall architecture. There is no doubt you will be able to find what you are looking for in these locations. Even if you are just window shopping and want to take in the world-class shopping experience without the world-class credit card bill, these destinations have more than enough attractions to keep you entertained and occupied during your trip.